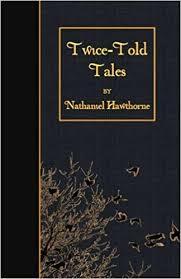 Nathaniel Hawthorne research papers examine his use of Puritanism in literature and his criticism of the puritan ideals. From the amalgamation of seemingly disparate sources and worldviews, Hawthorne and his contemporaries crafted a literature that was uniquely American, reflecting the concerns and preoccupations of the burgeoning national culture. This culture had its roots firmly in a European tradition, but was transformed into something immutably distinct through the unique experiences of American settlers. First, Hawthorne’s use of sin, guilt, expiation, and retribution as major structuring devices in the novel will be explored. Then, Hawthorne’s use of elements of the gothic in the novel will be examined, with particular attention paid to the way that these gothic elements both contrast and commingle with the Puritan basis of the novel. Next, Hawthorne’s use of both Puritan and gothic notions in developing the intricately complex psychological personalities of the characters in the novel will be discussed, noting particularly Hawthorne’s skillful use of both in the exposition of his characters’ alienation, isolation, greed, and pride. Finally, by way of a conclusion, Hawthorne’s approach to his subject matter in The House of Seven Gables will be compared and contrasted to his similar but divergent treatment of similar themes in what many critics consider to be a more accomplished work, The Scarlet Letter. Although on a personal level, Hawthorne overtly aligned himself with the burgeoning Transcendentalism movement, he was descended from a long line of American-born Puritans, and as such, his experiences and upbringing helped him develop a keen understanding of the tenets of Puritanism. Hawthorne comprehended the complex workings of Puritan thought and the many ways in which this religious doctrine had permeated the mindset of his American compatriots. The end result was the uniquely American character, a combination of dogmatic Puritanism and pioneer diligence and self-sufficiency, which plays a significant role in Hawthorne’s fiction. Maypole of Merry Mount by Nathaniel Hawthorne - Explication essay on Nathaniel Hawthorne's the Maypole of Merry Mount. Holgrave and Phoebe in Seven Gables - Holgrave and Phoebe in Seven Gables research papers examine the two main characters of Nathaniel Hawthorne's House of Seven Gables. Rappaccini's Daughter - Rappaccini’s Daughter essays discuss Nathaniel Hawthorne's short story that is both derived from an ancient story from India and the source of a continuing motif in popular American culture. Pearl in The Scarlet Letter - Pearl is the character that Hawthorne portrays as going against this mindset. Hester Prynne and Dimmesdale - Hester Prynne's relationship with Dimmesdale is key to Nathaniel Hawthorne's The Scarlet Letter. Characters in The Scarlet Letter - Characters in The Scarlet Letter research papers provide an analysis of Hawthorne's classic work of Literature. Symbolism in The Scarlet Letter - Symbolism in The Scarlet Letter research papers analyze Nathaniel Hawthorne's novel. Romantic Era - Nathaniel Hawthorne's novels, such as The Scarlet Letter, and The House of the Seven Gables, are representative of American Gothic melodrama. Puritan Mindset in The Scarlet Letter research papers overview Hawthorne's The Scarlett Letter through research and writing. Paper Masters writes custom research papers on Nathaniel Hawthorne and examine his use of Puritanism in literature and his criticism of the puritan ideals.